Back at the beginning of the Summer, which feels like an awfully long time ago now, we held the first ever Sheffield Meta-Meetup at the Google Digital Garage at Barkers Pool. We wanted to bring together as many meetup organisers as possible, so they could network, share knowledge about their events and talk about what they need to make them more successful. Above all, we wanted to celebrate their work! There are so many people in this city who give up their free time to organise events and bring the community together around all sorts of different topics. The digital tech and creative scene in Sheffield really would be a very poor and barren place without them! Anyway, I’d like to do three things in this post. Share some of the things we learned about specific meetups. Provide an update on what we’re doing with all the information we gathered about each event. Tell you about the next Meta-Meetup that we plan to schedule for 23 October, again hosted by the Google Digital Garage. But before all that, let’s quickly go over the first event. On the night, more than 40 meetup organisers came along. It was really great to see so many people, with plenty who were meeting each other for the first time. Once the first hour of meeting, eating and drinking was over, we spent the rest of our time in the Garage. Our main task was to collectively complete a database of meetups, including information about each event’s main challenges. This database is published in AirTable and you can access it here. If you run (or want to run) an event, please do add your information to the database. We spent the majority of the first Meta Meetup with organisers taking turns to explain their event and talk about what they need to make improvement. (def shef), the meetup for functional programming, is thinking of pivoting towards machine learning and possibly changing its name. Agile Sheffield would like to hear talks from other disciplines/meetups and would like people to feed them with new topics. They could also do with a venue that has breakout spaces and better (quieter) acoustics. GeeksInThePub would like to diversify its attendees, but industry folk only, no recruiters or ‘startup idea people’. LegUp Social would like some more mentors, but even more than that need more charities and social enterprises to work with. Sheffield Devops would like more talks around ‘softer skills’ and crossover with some of the other meetups. They are also on the lookout for an additional organiser or two, plus an alternative venue. Sheffield JS would like a venue with better access and visibility, ideally near the train station. Sheffield PHP has just relaunched thanks to the work of the guys at Evoluted. The first event of the ‘new era’ was on 20 July and you can check the Sheffield Digital calendar for the next one. Sheffield R would like to attract more industry data people, not just R practitioners, and expand the meetup into data analytics more generally. ShRUG, the Sheffield Ruby Users Group, would love to get more attendees – currently around ten each month – plus more content and speakers. Sheffield Test Gathering is doing okay, but would need co-organisers and a sponsor to grow. Steel City BIM, the meetup about Building Information Modelling, would very much like a sponsor. Steelcon, the cyber security conference, are always looking for people and companies to supply goodie-bag fillers! Tidal Club, the algorithmic music coding meetup, would like more diversity across age, gender, background, etc. 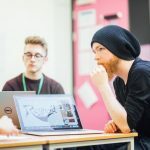 WordPress Sheffield would like more local speakers and diversity across web development, not just WordPress. They would also welcome more cross-pollination across meetups. Sumo Digital indicated they were looking to start a new games meetup. 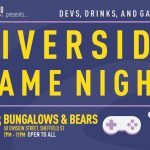 True to their word, the very first Riverside Games Night was held last night (28 September). There are also many meetups dormant, on hiatus or in the process of being set up. The ones we know of are listed in the database, but please add new ideas if you’re thinking of getting something off the ground. Let us know – via comments, Twitter, email or Slack – if you would like to be involved in any of these potential meetups! We’d like to support new efforts however we can, especially by making potential sponsors aware of the events and the benefits of sponsoring, and by developing the network of meetup organisers. The AirTable database at the time of writing contains 67 events of varying types and statuses. We are – well, Saul is – currently evaluating the AirPress plugin to see whether we can use it to pull data into a page of content cards in a new meetups section of the website. We hope to publish the regular active events and provide a directory of the meetups to give them higher profile. We would also like to the new page to provide a visible link to the community database. However, we are aware that the database does contain organisers’ contact details. We won’t publish this until we’ve checked with everyone, but in the meantime, I’ve added a field for for each event labelled ‘‘official contact email’, where you can publish a specific event email address. Please decide whether you are happy for your email to be accessible in the AirTable database. If you are not, either remove it or change it to a dedicated address for the purpose. Also, if anyone would like to help integrate AirTable and especially style up the cards, please get in touch!. Finally, to the next instalment of the Meta Meetup. 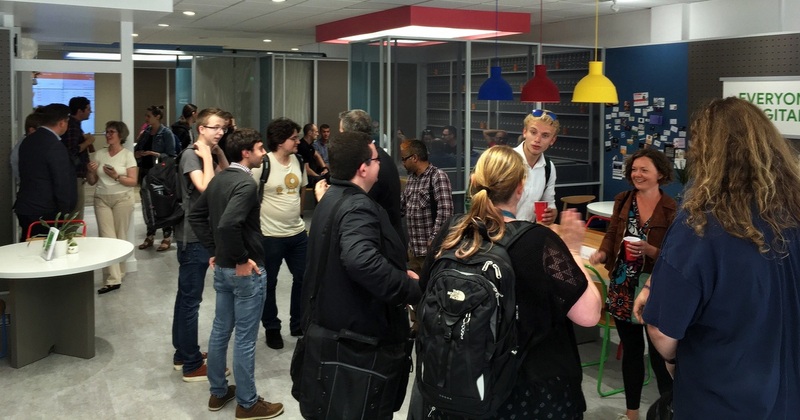 We’re looking to host edition two on Monday 23 October from 5:30pm, again at the Google Digital Garage. We won’t be painstakingly going through all the meetups to update the AirTable, like we did last time. Now that it’s seeded with data, we want people to update their information themselves and encourage you to do so before the event! What’s the best way to record what happens at a meetup? What techniques have people developed to do this? This is about more than reporting on what happened, but instead surfacing meaning and points that were raised during the event. How can we collectively raise the profile of our events and keep drawing new people in? What do sponsors actually want and how can we help them get it without selling our souls? Please let me know if you have any other suggestions and we hope you can make it on the 23 September!